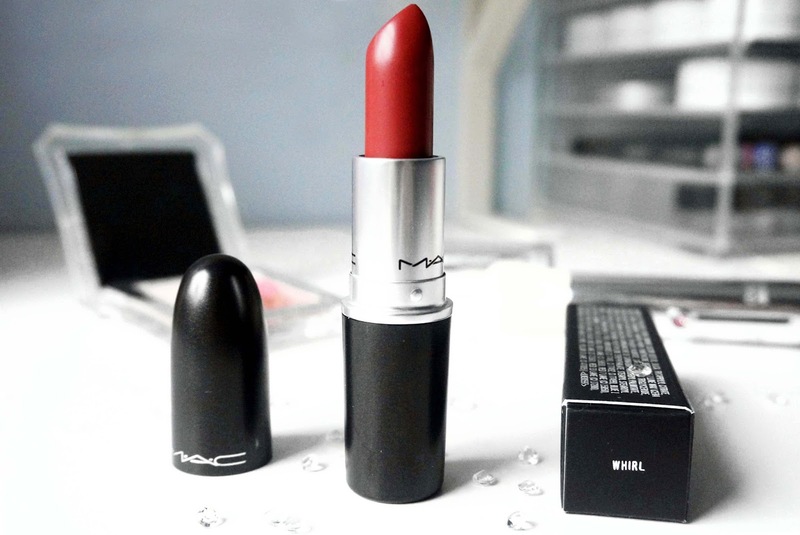 MAC's matte lipstick is one of my favourite formulas, they have incredible pigment and longevity. I have Whirl in lip pencil form and I find that it a little drying but when I saw my friend wear Whirl in lipstick form I knew I had to get it. I'm incredibly grateful for my friends as this with gifted to me for Christmas. 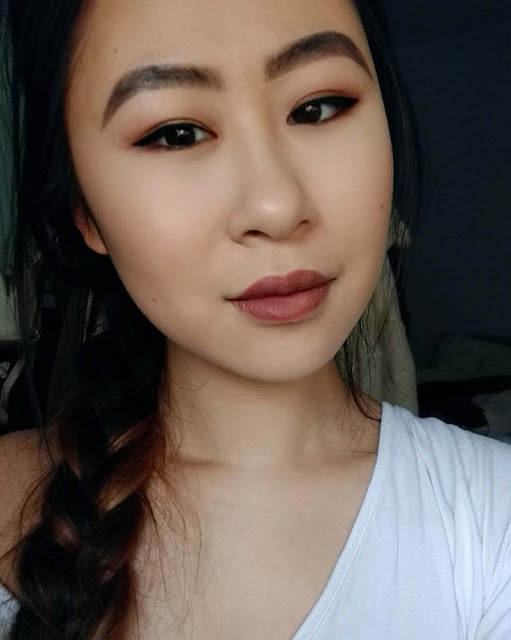 Whirl is described as 'dirty rose' on the MAC website but personally, I find it to be a brown with a mauve undertone and sometimes it can look quite plummy on me. Like all MAC lipsticks, it has that vanilla scent which I love and the packaging is very sleek. 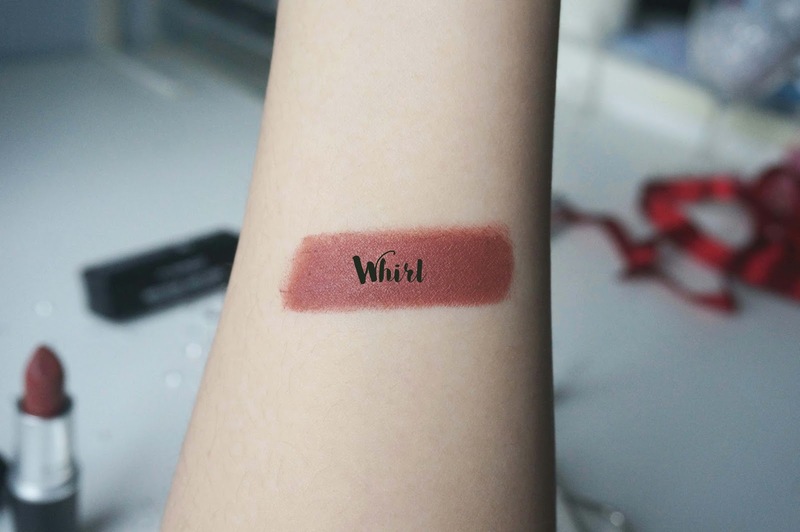 I believe whirl was a lip pencil exclusive but became a lipstick because of the Kylie Jenner hype and I'm really glad since I'm not a fan of the lip pencil. 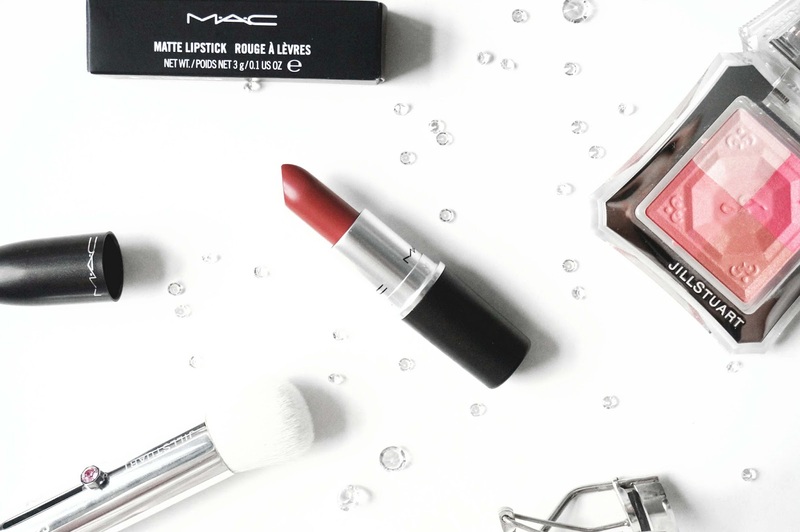 The lipstick applies smoothly on my lips and lasts about 5 hours before I need to reapply. It does transfer but it does not end up on my teeth which is a plus. The colour is beautiful and can look quite edgy. It is completely opaque so you do not need to lip line either. Overall, I am loving Whirl. Velvet Teddy and Taupe is my all time fave and I am excited to discover more amazing matte lipsticks shades. They have loads of matte lipstick, what is your favourite? Whirl is such a classic shade, it looks gorgeous on you! I absolutely love whirl and Taupe- they're my go tos! Such a lovely colour! Similar to Velvet Teddy, but a little deeper! I recently purchased Whirl and Mehr. Great colours and whirl is definitely my favourite of the two. I love it, looks like such a fab colour. I need to try MAC lipstick.